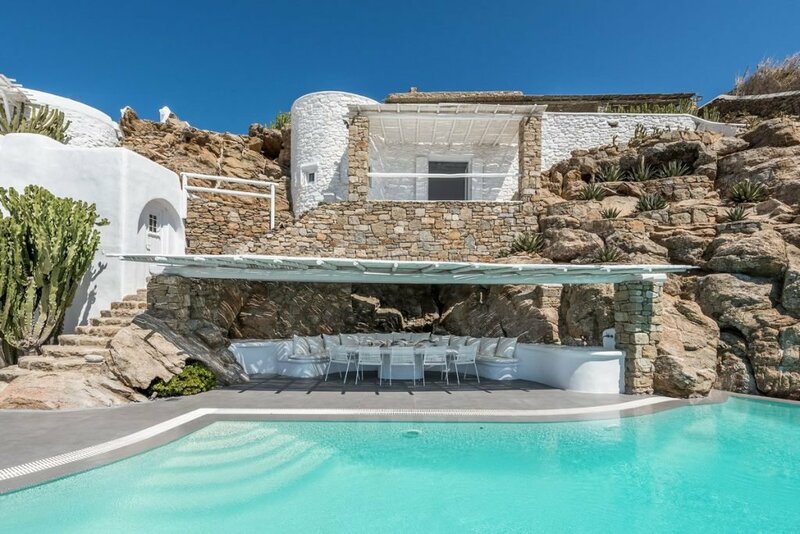 Villa Katrin is the place to relax, celebrate, and create wonderful memories. 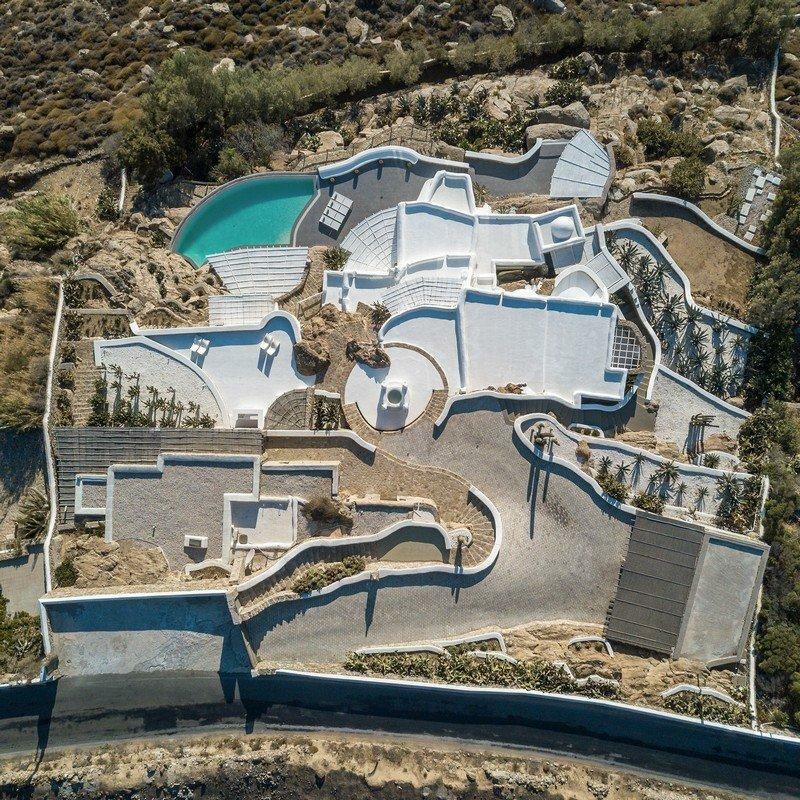 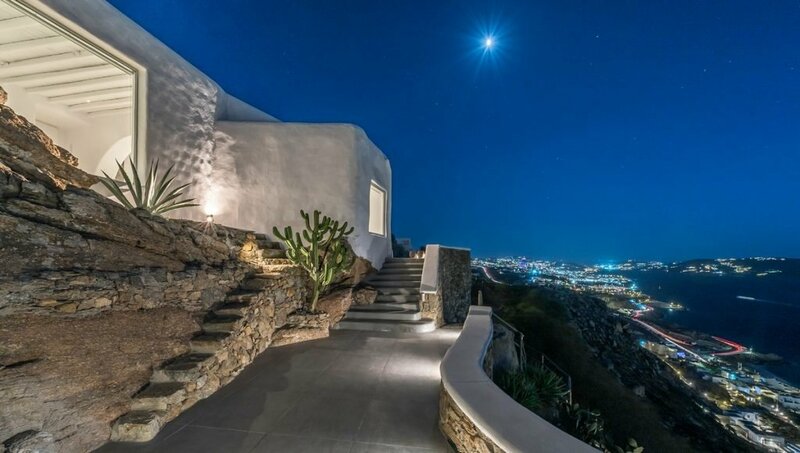 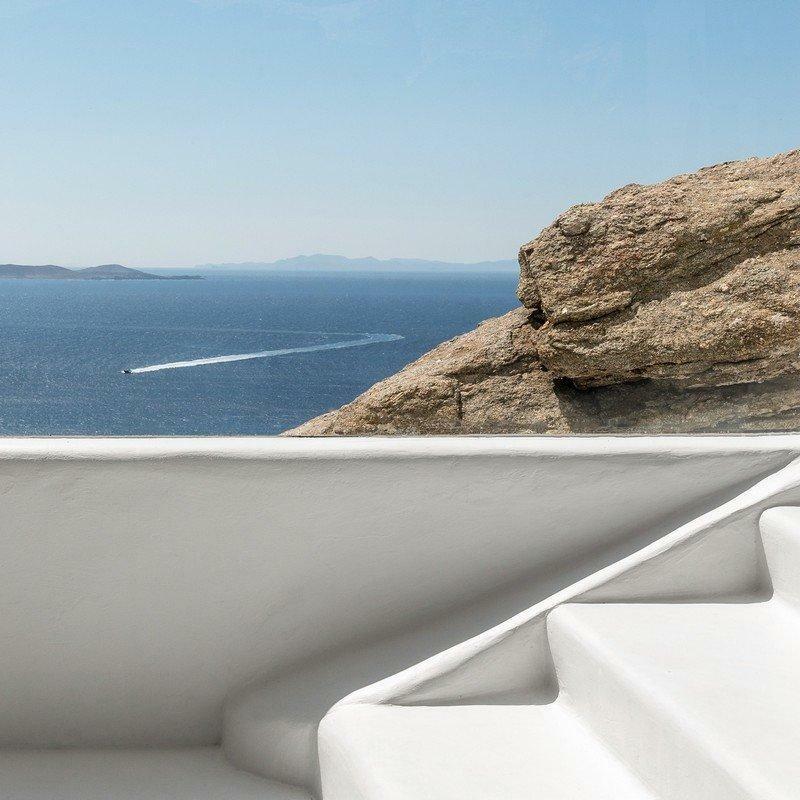 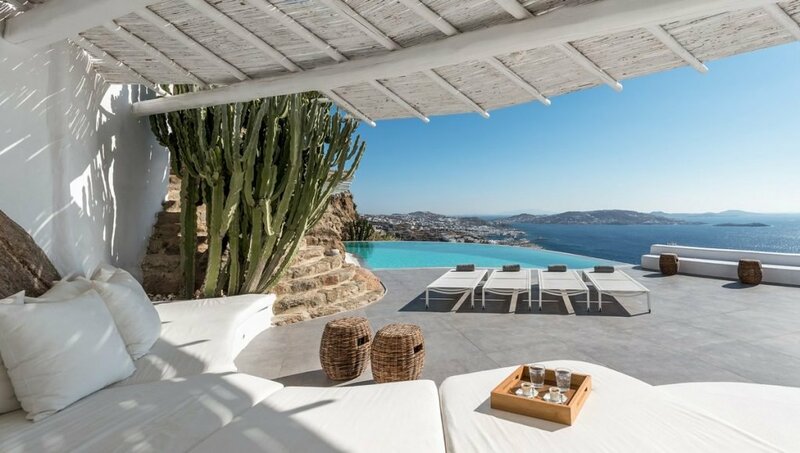 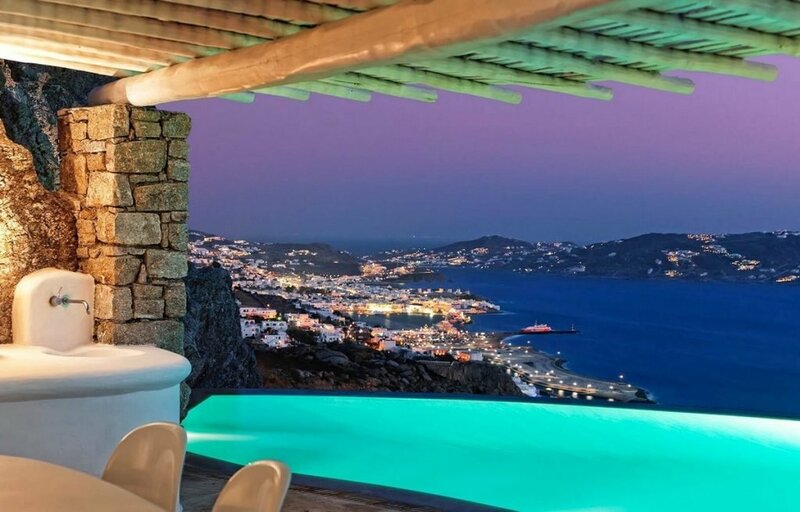 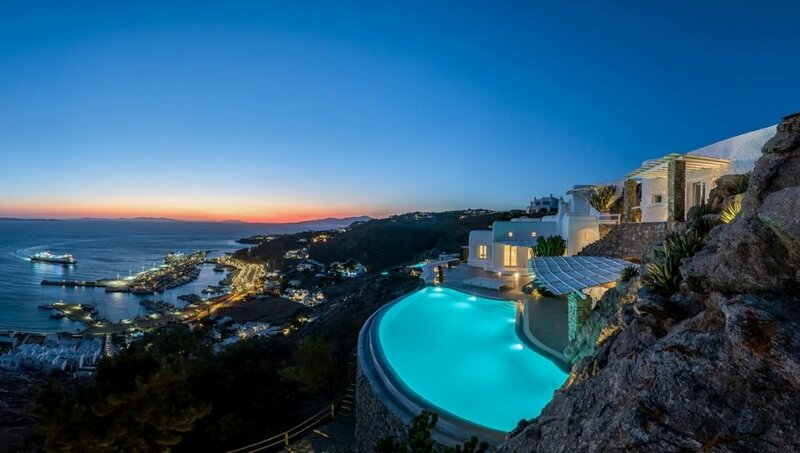 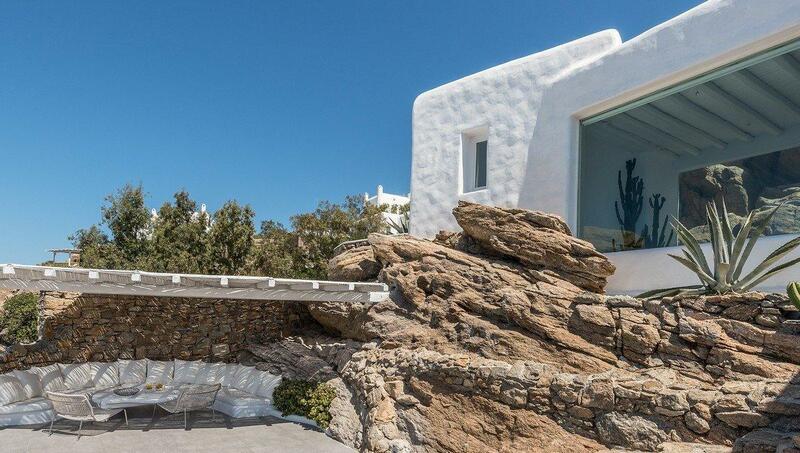 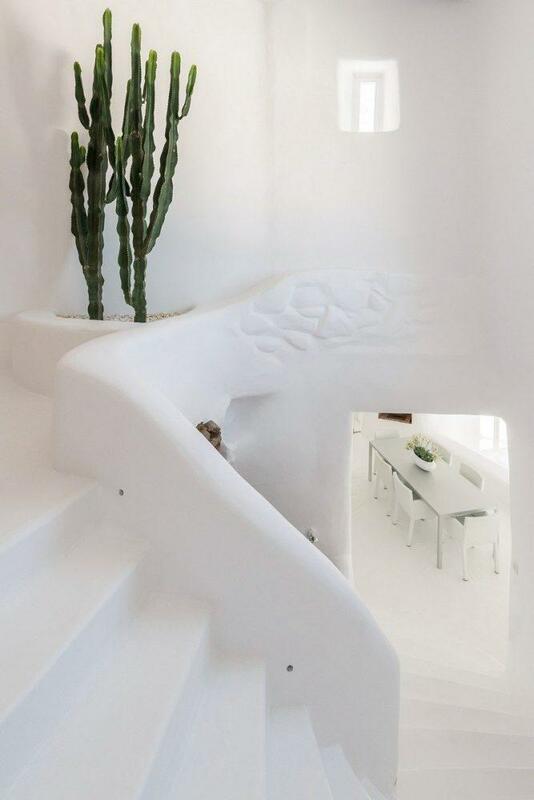 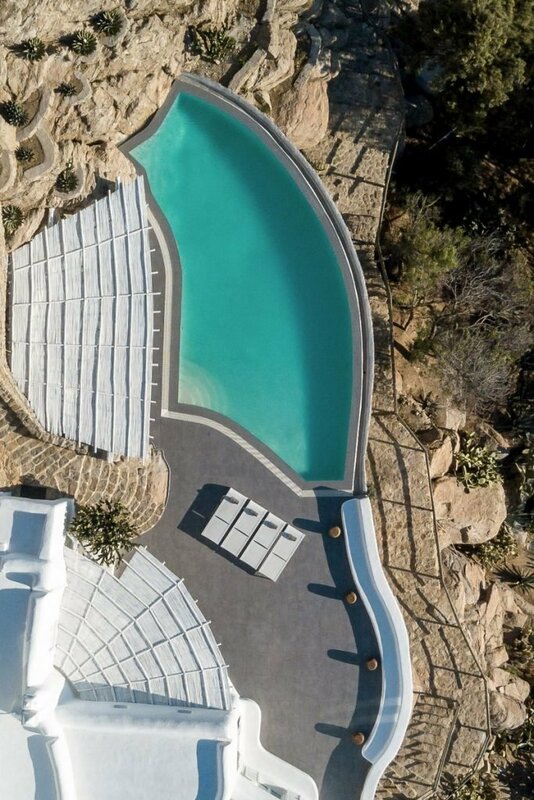 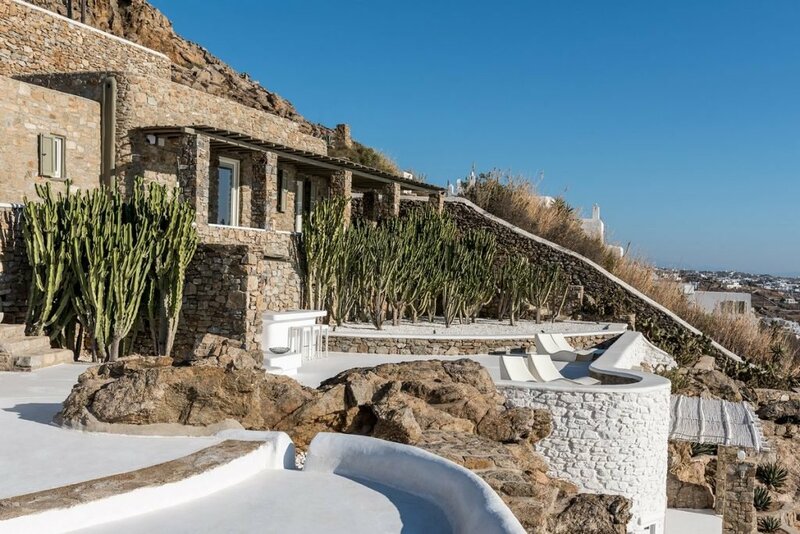 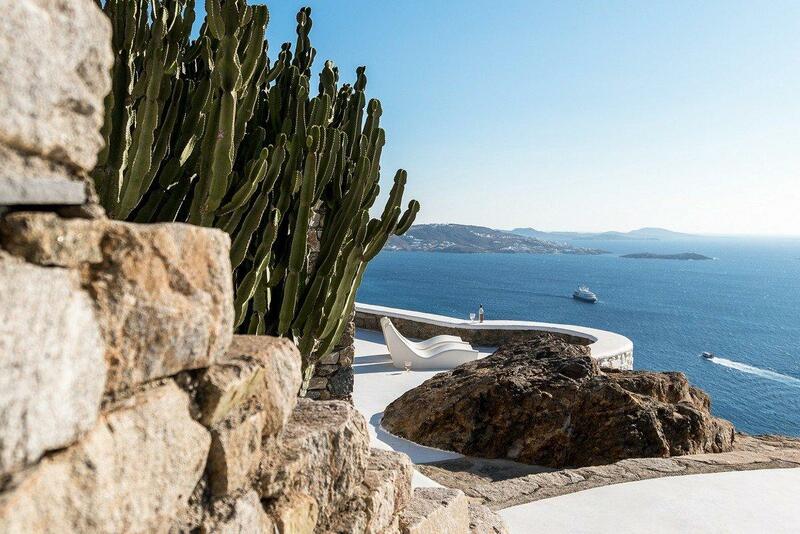 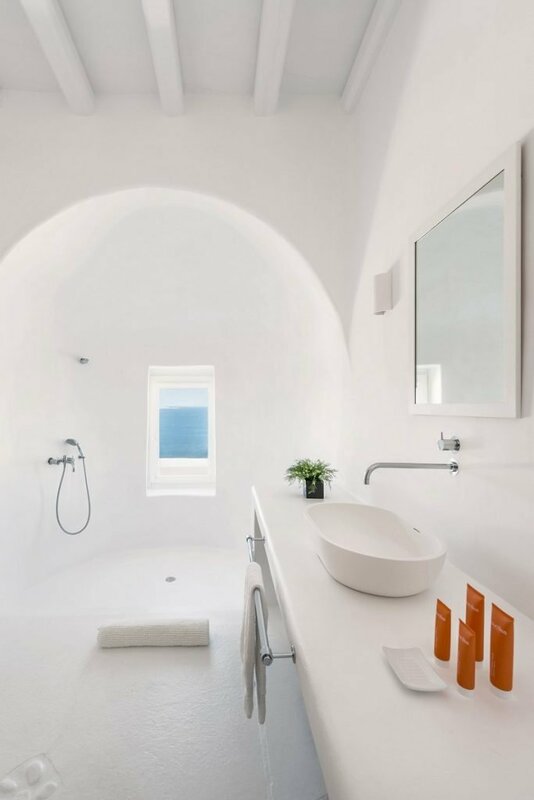 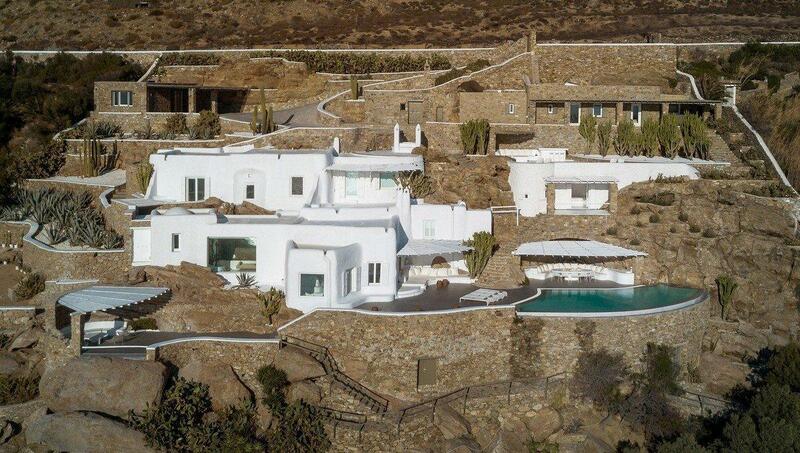 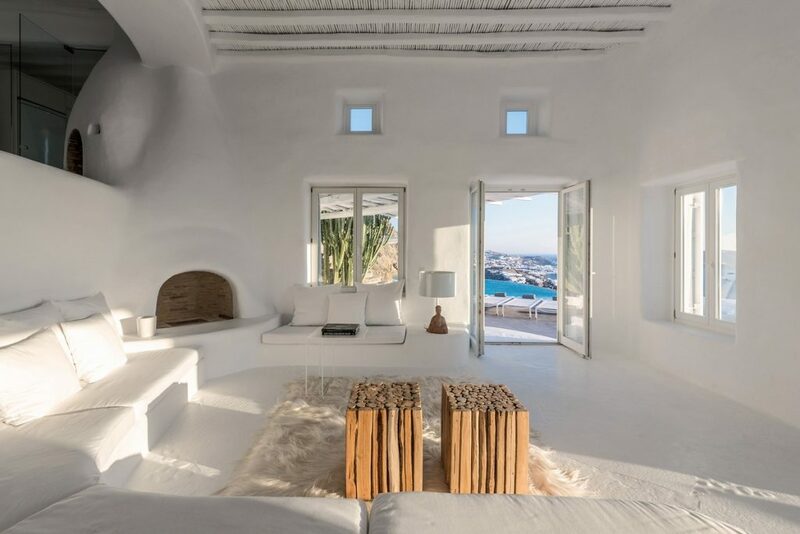 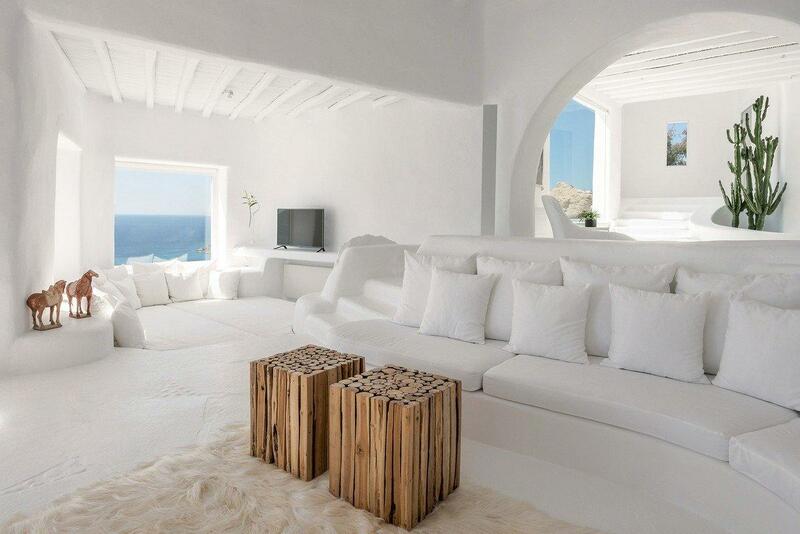 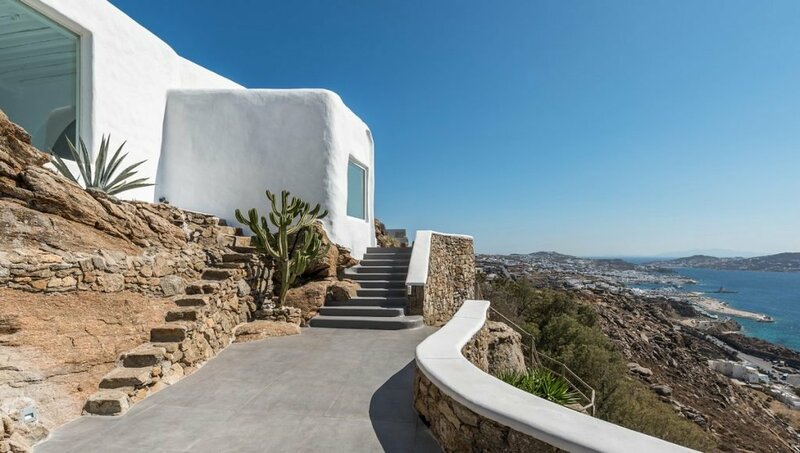 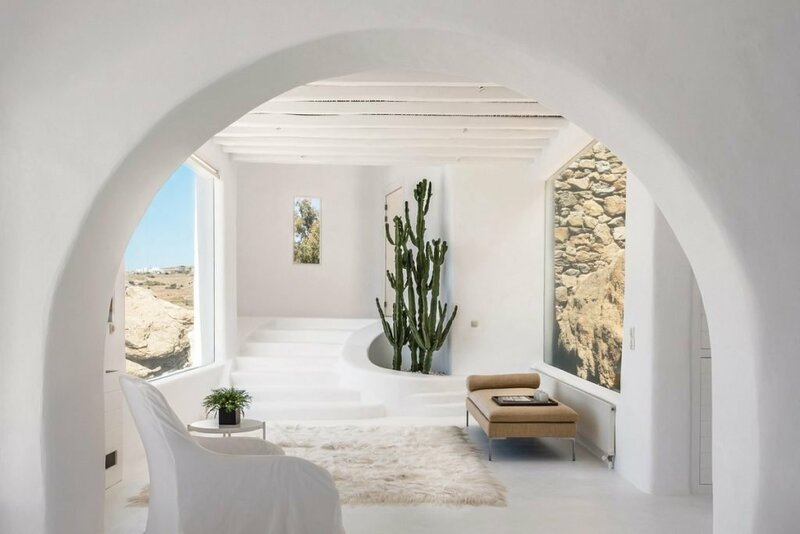 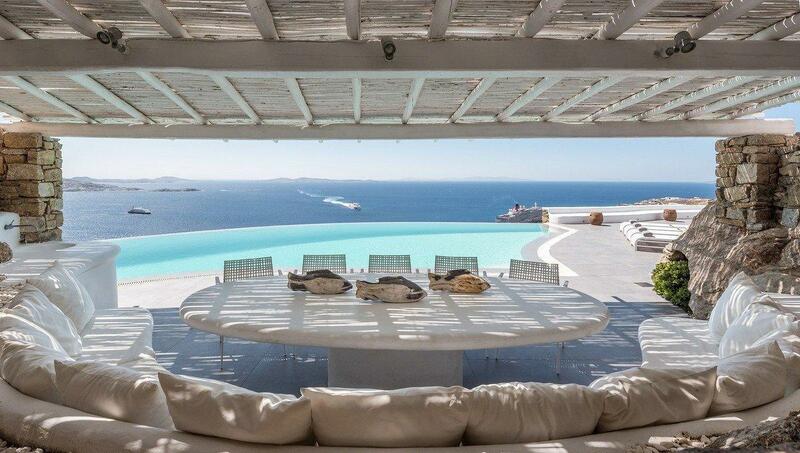 Located in Mykonos, the most famous cosmopolitan island of Greece, this villa provides vacationers luxury at its supreme. 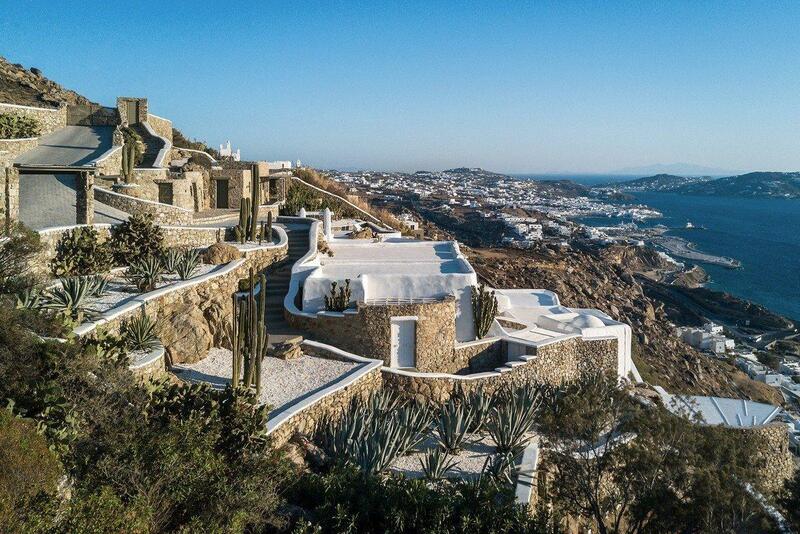 The main building and the 3 individual guest rooms provide elegant privacy for the guests. 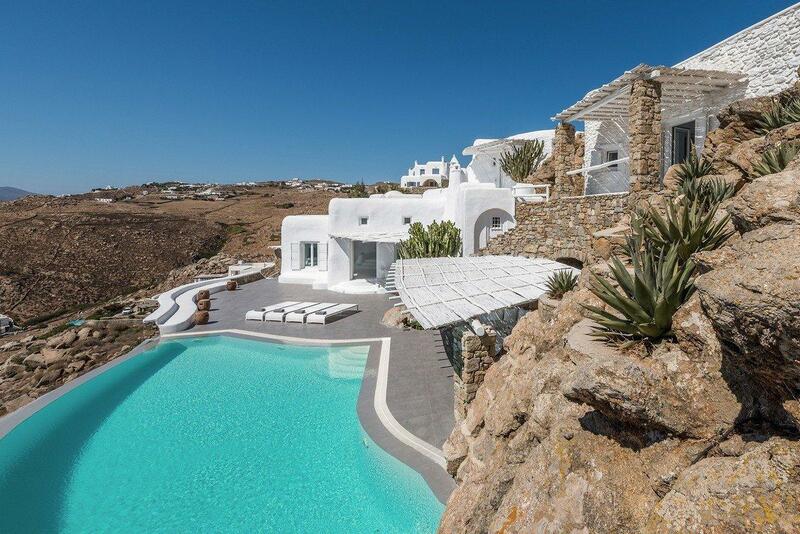 The lavish and deluxe Villa Feelings is built on an area of 4000 m2. 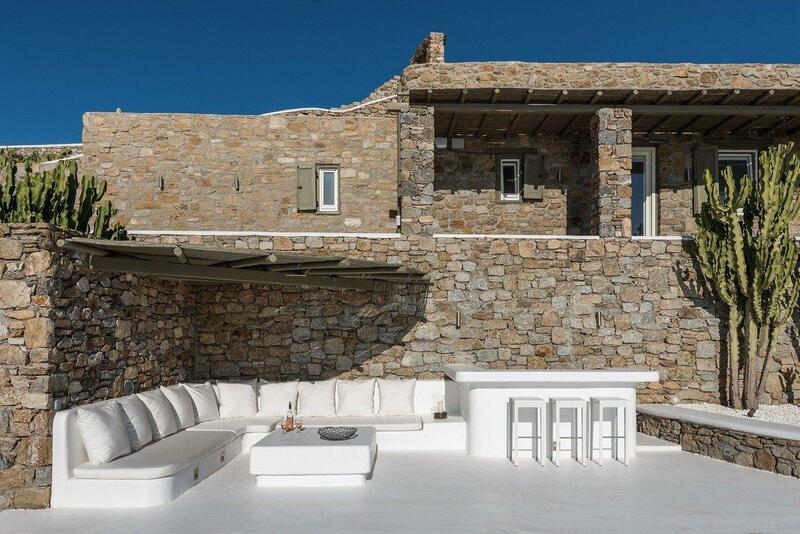 The main house is divided into two levels. 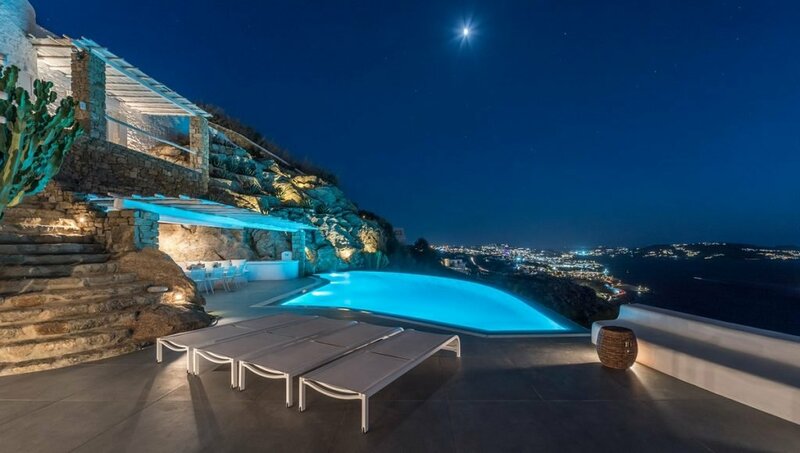 In the entrance level located a luxurious and minimal living room with a breathtaking view of Aegean sea, while in the upper level located the breakfast and dining area, able to seat up to 10 people, and a fully equipped kitchen where a private chef could create delicious dishes for you and your company. 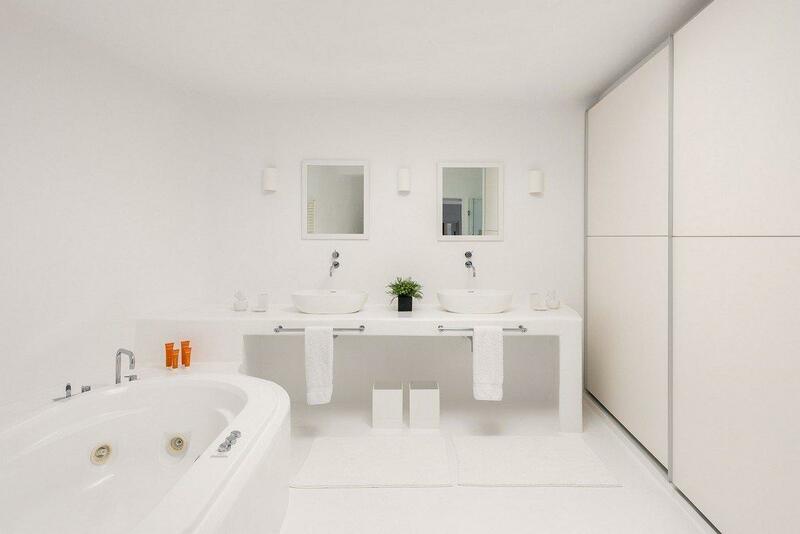 Feel free to choose the bedroom of your preference among the 5 upscale double bedrooms all with an in-suite bathroom. 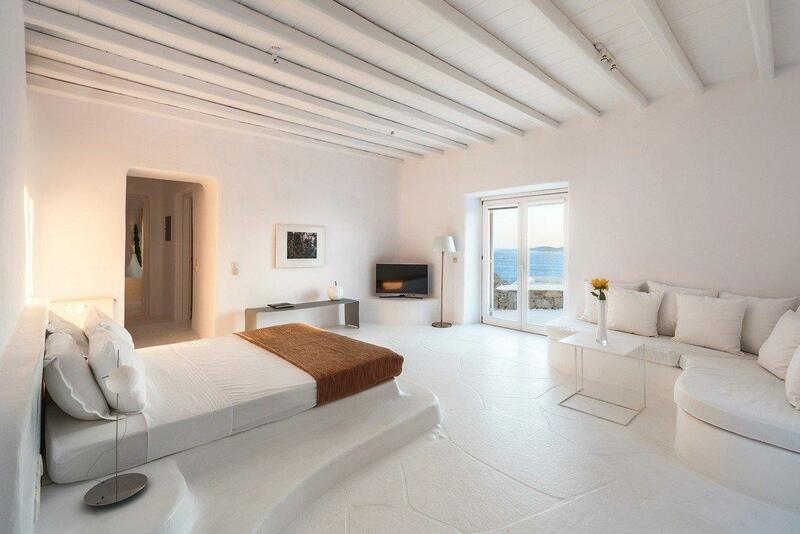 Two master bedrooms situated in the main building with a king size bed and a spectacular view of the sea. 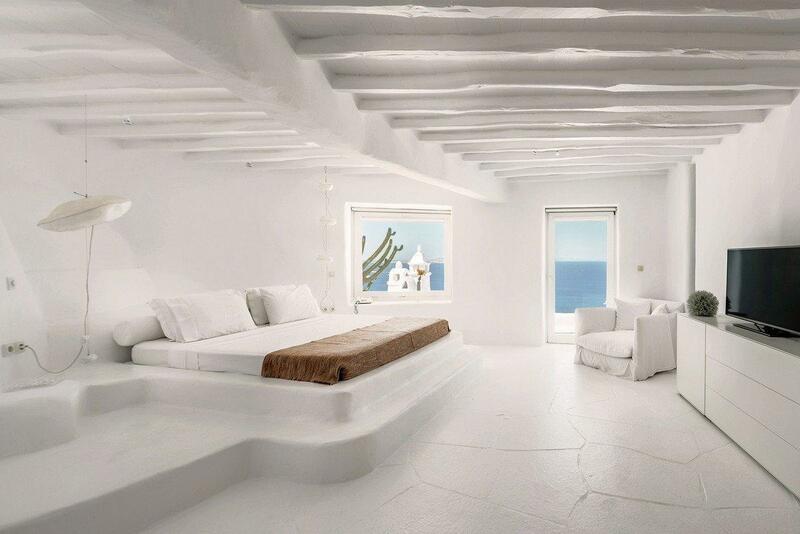 Three separate guest rooms provide privacy to your guests. 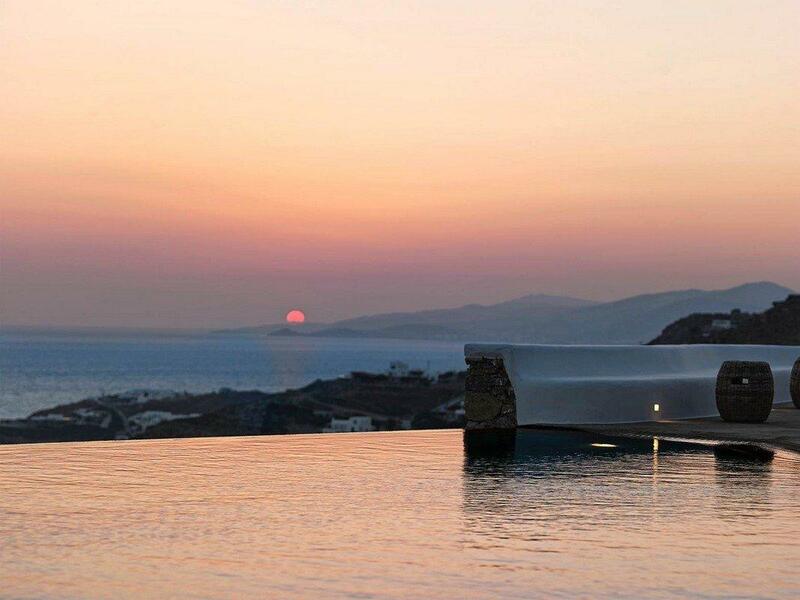 The outdoor area is a magnificent space that features an infinity pool and is lined with sunbeds and loungers. Guests can relax in a number of covered areas or in the outdoor dining area. 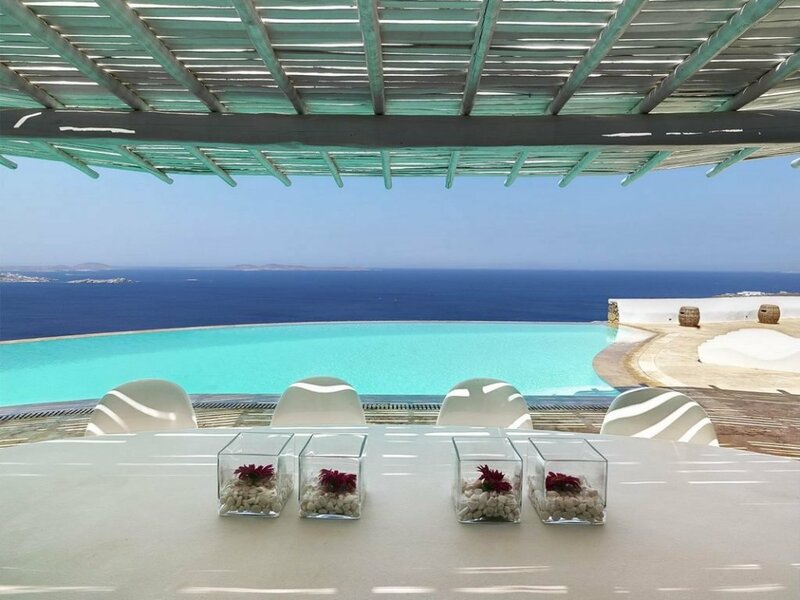 The bar area is ready to serve your guests their choice of drinks and cocktails. 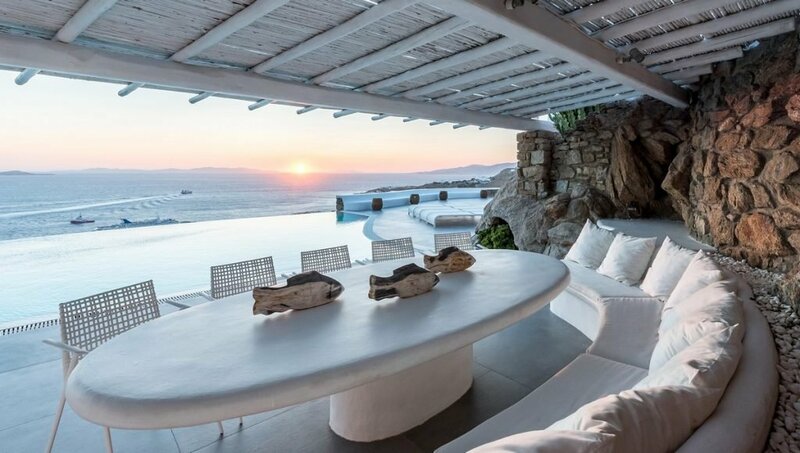 The ideal place to watch the beautiful sunsets over the sea! It is definitely a place that will make you visit worth a million.